India’s telecom regulator TRAI has finalized its recommendations on the ‘Working Guidelines on Spectrum Trading’ which allowing outright transfer of spectrum by telecom companies to other operators, but has suggested a bar on its leasing for now. As per the recommendations by TRAI, telecom operators holding spectrum across services – 2G, 3G, 4G (BWA) and CDMA, should be allowed to trade the radio-waves. Spectrum trading will not alter the original validity period of spectrum assignment. For the present, Spectrum Trading shall be permitted only on a pan-LSA (Licensed Service Area) basis i.e. spectrum cannot be traded for a part of the LSA. The seller and the buyer shall be required to inform the Licensor regarding the spectrum trade, 6 weeks prior to the effective date of trade. However, no permission will be required from the Licensor/Government for Spectrum Trading. All spectrum bands earmarked for Access Services by the Licensor will be treated as tradable spectrum bands. Currently spectrum in 800MHz, 900MHz, 1800MHz, 2100MHz, 2300MHz and 2500MHz spectrum bands have been allocated for Access Services. Only CMTS/UASL/UL (AS)/UL licensees shall be eligible to participate in the spectrum trading. The entire spectrum held by the licensee in a particular spectrum band within an LSA should be tradable i.e. it has either been assigned through an auction in the year 2010 or afterwards, or on which the TSP has already paid the prescribed market value (as decided by the Government from time to time) to the Government. A Telecom Service Provider (TSP) will not be permitted to trade any spectrum in the spectrum band in which it has acquired any spectrum through trading (or auction) for a period of 2 years from the effective date of transfer of spectrum (or effective date of assignment), i.e. TSP is required to hold spectrum for at least two years from the date it acquires the spectrum. Inter-ministerial panel Telecom Commission had in October 2013 given in-principle approval to spectrum trading and it was cleared by the Empowered Group of Ministers. TRAI was then asked to provide detailed guidelines for trading. 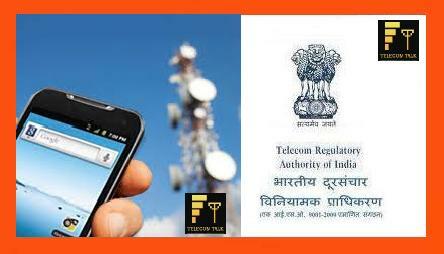 As of now, only Government is allowed to allocate spectrum to telecom operators through auctions. Once the trading is allowed, it is expected to increase efficient use of radio-waves /spectrum by enabling telecom operators, who have a lower subscriber base or un-utilized spectrum to trade in it. Now a Department of Telecom (DoT) committee will examine TRAI’s above guidelines after which Telecom Commission will take a call on it. what is time of auction??? tomarw?? auction for 1 day or 2-3 days???? i have few queries in my mind, if airtel has won in Maharashtra than is they able to provide 3G service in Maharashtra.. heard that the spectrum allocation from now onwards will be the technology neutral, is it means they can provide 3G service where they don’t have currently. Yes, they can provide 3G services but they will not do so because this band isn’t suitable for 3g network as the ecosystem is not developed yet. They may use it for 4g or 2g. And even if they get it will take lot of time for u getting the 3G coverage if u r not from Cities like Pune or kolhapur or nashik nagpur aurangabad sangli solapur etc….